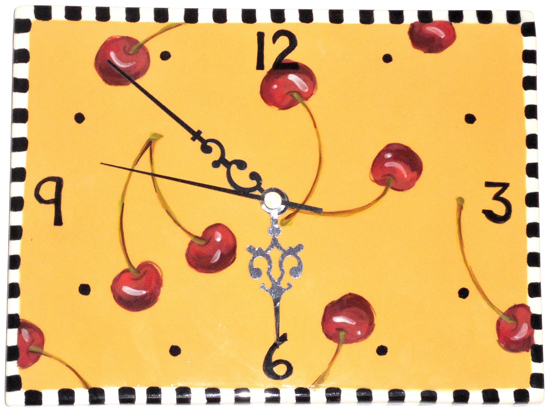 This 6" x 8" wide clock hangs on the wall or on a plate stand. Looks great on a mantle. Design of clock hands may vary. Runs on a single AA battery(not included). Anyone of our patterns can be put on the clock face for you. Just call (508)932-2574 or e-mail (drolldesigns2@yahoo.com) for assistance. Allow 4-6 weeks delivery. Click on photo to enlarge for details.